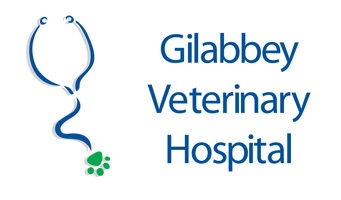 As part of our diagnostic imaging services (radiology), Gilabbey Veterinary Hospital offers a fully computerised x-ray facility. 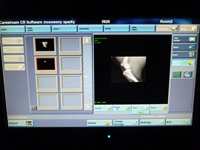 The radiographs can be directly displayed on high resolution computer monitors throughout the hospital enabling ready access by all of our clinicians. All staff members are protected with lead gowns and thyroid sheilds for optimal safety. Our system ensures that best quality radiographs are taken, processed and stored with your pets records while also maintaining very high safety standards. 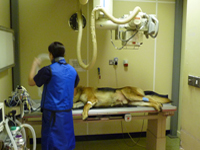 The use of this x-ray facility is invaluable in helping in the diagnosis of our pets ailments. 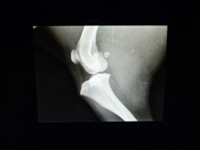 We can also use contrast studies to give heightened definition to our x-rays. This can help with spinal work-up (i.e. disc disease and myelograms), urinary tract disease (bladder stones, tumours, ectopic ureters) and digestive tract disease.